Entry level is the iTab Lite with a 5″ screen. This is the most basic model and can display and scroll chord tabs while allowing some basic editing capabilities. It’s aimed primarily at beginners and learners. The 7″ iTab Pro adds full tab scrolling and the 10″ iTab Max allows for scrolling musical notation as well as tab – this one being aimed more at performing and rehearsing musicians. 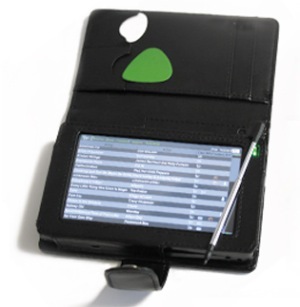 The Pro and Max versions also include a mobile ‘composer’ for writing music on the go. 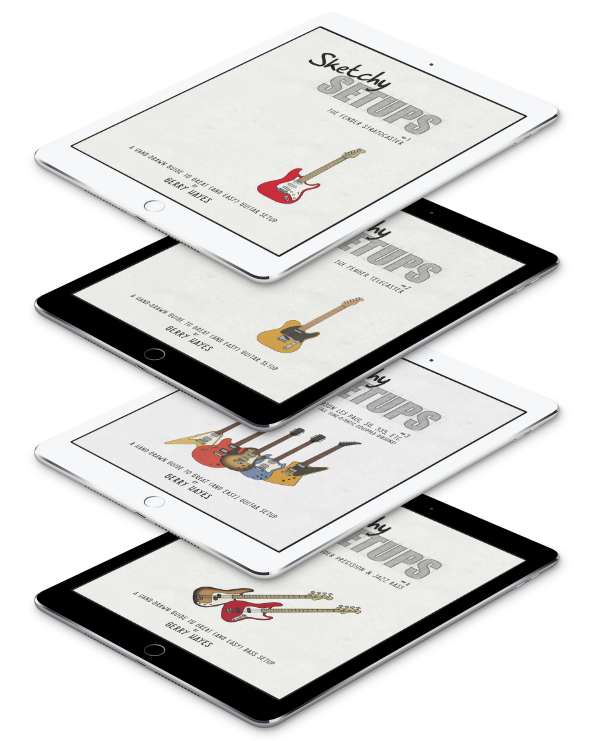 All versions allow for video lessons and cover songs to play along with. Last, but certainly not least, all versions have integrated Bluetooth, Wi-Fi and 3G capabilities and can handle email and instant messaging. It’s your personal musical assistant. Aside from the devices themselves, the company have a website (a little bit of a work in progress at the time of writing) where it will be possible to download tabs, notation and lessons to your iTab. This is really where the unique selling point of the iTab comes to the fore. If they can get the back-end tabs and lessons up and running they will have something very interesting. Their site claims they’ll have 18,ooo tabs online to start with. They’ll also cater for stringed instruments other than guitar. I hope that iTab can live up to their claim. Most people reading will be aware of the problems that internet tab-sharing sites have faced at the hands of the record industry. I assume that iTab have negotiated some sort of deal with the industry for a cut of profits in a similar way to ringtone downloads. The back-end is where this business is. If they can effectively monetise tab downloads (and many would happily pay a small fee to download a legal and, more importantly, accurate, tab), I would expect that we would soon see smartphone apps, desktop apps, etc. All in all, this is a very interesting idea. The 5″ iTab Lite will launch in time for the Christmas market, with the 7″ in spring 2010.